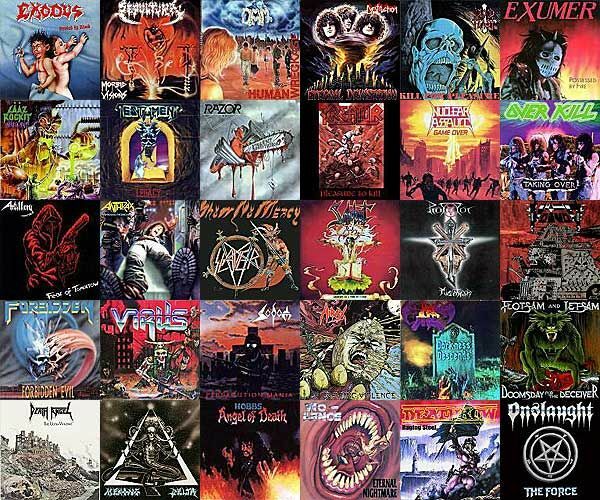 More than any other decade, the metal scene has truly peaked at 1980-89. What was left from the ’70s heavy metal, known as this dark-hard rock genre, has evolved into new breeds of subgenres that truly broke the familiarity of traditional songwriting. Now we were getting new sounds that truly sounded much heavier, faster, and innovative that it would made Christian parents scared of such “Satanism” to possess their children. 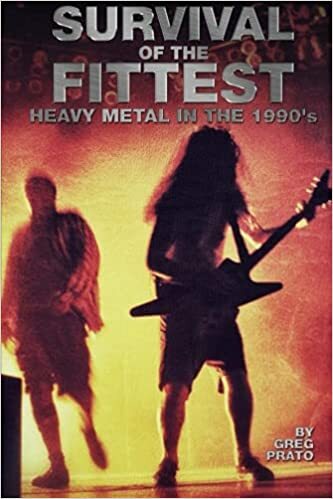 During the Regan-era, these were rebellious times for the audience and the bands coming out figured out new styles that were a transformation of their influences that got them into the metal scene to begin with. Many kids everywhere had their start in the metal scene during this era and since then, bands that got their start here have forever been remembered and some still performing & releasing albums to this very day. I think part of 80s metal’s success is that anger has always been human’s most familiar emotion and many albums that came out of this era really matched our darkest desires for revenge and even got really creative to disturb many that are in their comfort zone. I am however talking about the new wave of British heavy metal, Speed Metal, Thrash Metal, Death Metal, Grind-core, Doom Metal, Industrial, and Black Metal as being the highlight of this era, specifically. However, there is this horrible scene in metal called Hair Metal (or ’80s hard rock) which was this horribly commercialized scene of music where bands were womanizing, poppy, and horribly fashioned that it made 80s not worth going back to some. 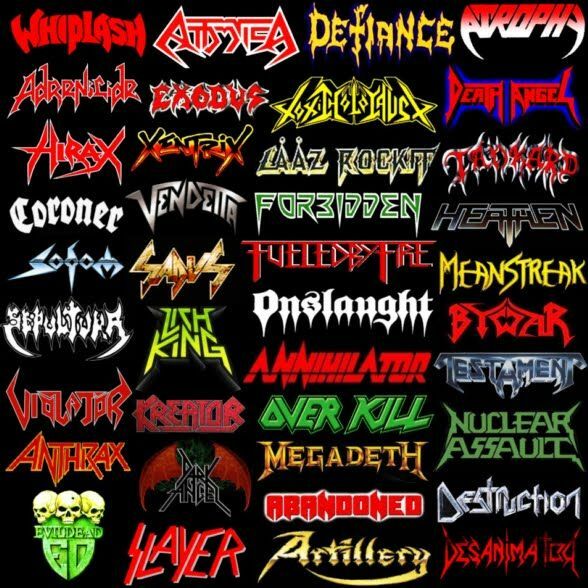 I promise you that you will not see any of that garbage metal in this list. These are the metal albums that withstood the test of time and have so much replay value that it will remain timeless to listen to. The face of British music in the eighties? Well, one would like to imagine so but then memories of the drivel populating the singles charts at the time comes to mind. Instead The Smiths can justly claim to be the guardians (if not saviours) of guitar-driven music from which countless indie bands of the future would benefit. 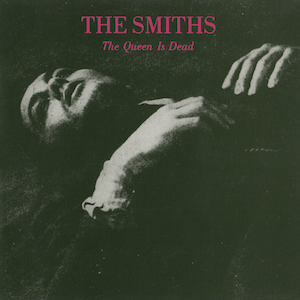 More so than any other by The Smiths, The Queen Is Dead is a rock album. Marr fairly rips the riffs of the title track out of his guitar while “Bigmouth Strikes Again”, “Cemetry Gates”, “Vicar In A Tutu” and “The Boy With The Thorn In His Side” barrel along and prove miserablism doesn’t necessarily mean dirge. But the most impressive aspect of The Queen Is Dead are the lyrics. Just a quick turn of a phrase and a whole world is brought into the light: from isolation “Life is very long when you’re lonely”, to a contempt for modern culture “I’d rather be famous than righteous or holy, any day”, to the sheer exuberance of being in love “And if a double-decker bus crashes into us, to die by your side such a heavenly way to die. And if a ten truck kills the both of us to die by your side well the pleasure and the privilege is mine”. And if anyone sees that last couplet as depressing then maybe love is something you haven’t really experienced yet.